A vacation at an overseas destination is surely an eternal memory. The idea of exploring foreign lands, interacting with people of different cultures, gaining knowledge about their heritage, visiting the numerous man-made and natural wonders, savoring the local cuisine, is an amazing one. If you too have the dream of visiting the world, Indian Holiday is here to help you out. 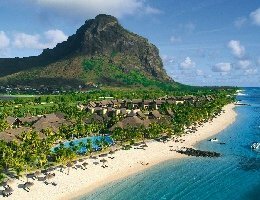 The page enlists numerous International tour packages from India to some of the most sought-after destinations around the globe. We can plan a vacation for you in the USA, Egypt, Turkey, Bhutan, Singapore, Bali, Malaysia, Thailand, Seychelles and other such exotic places. Look through our list of international holiday packages and pick the one you like. Give us a chance to serve you and offer you a memorable vacation with your loved ones. 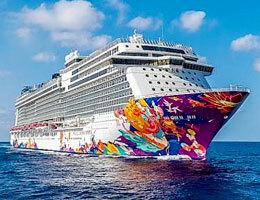 Enjoy the glamour of Singapore onboard a cruise along with the beauty of Bali. Fall Head over heels love in the magical spectacle. A plethora of places in the world holds something special in store for avid travelers. It is because of this that the list of international travel packages by destination is quite comprehensive. The meticulously designed packages cover almost all the destinations like Singapore, Maldives, Europe, Mauritius, etc. that offer memorable holidays. While on your foreign trip, cherish some of the memorable moments you had never before. Another reason to choose these places is that they offer something more that lies beyond your imagination. What's even better is the amazing deals on international holiday packages with flights. Furthermore, all this comes at a cost that doesn't burn a hole in your pocket. Brace yourself, as the natural beauty, amazing views, enthralling activities, fascinating attractions, etc. await to spellbind you. 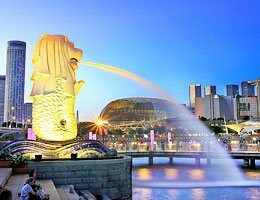 Revel in the ravishing excitements of Singapore Vacations. 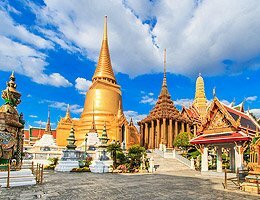 Discover the Land of Smiles, Thailand with exciting attractions. 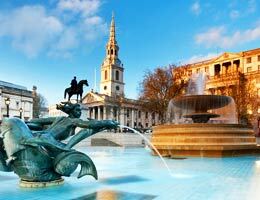 Explore the charming cities, ski resorts, beaches and other marvels of Europe. 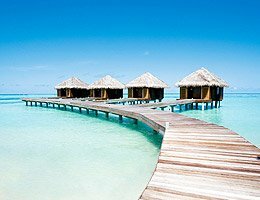 Maldives is the perfect recipe of heavenly moments in sun, sand and sea. 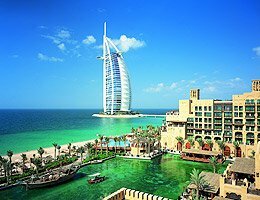 Witness Dubai in all its glory with holidays in the ravishing gem of UAE. 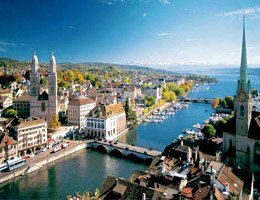 Revel in the fairytale charm with Switzerland tour. Beach vacations in the emerald blue heavens of tropical Asia. 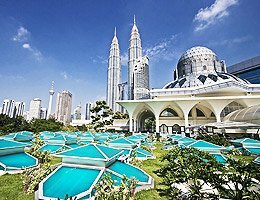 Relish the medley of Asian pleasures during blissful tours to Malaysia. 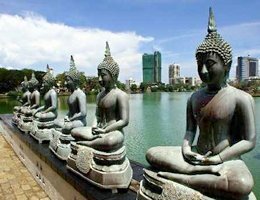 Culturally devoted and enticing holidays in the tiny paradise of Sri Lanka. 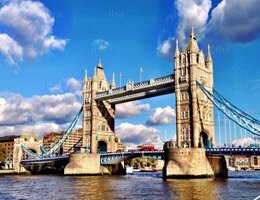 Witness the myriad delights of United Kingdom. 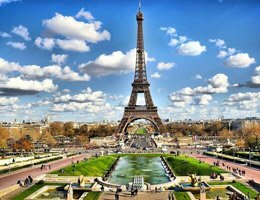 Relish the pleasures of food, history and culture in France. Explore the charms of world's largest island country. Whether you're looking for a family vacation, romantic escapade or an adventure tour, our well-planned world tour packages will never fail to amaze you. Choosing your dream vacations according to your favorite theme help you curate memories of a lifetime. Be it beach holidays, cruise holidays, Europe tours, visa on arrival trips or so on, we deal in all! Explore the world, make new friends, discover new places, unveil the mysteries and ultimately fulfill your traveling spree with us. Give an end to your search for international tour packages for couples. Our experts have worked day and night to design itineraries that cover everything a newlywed need for a perfect honeymoon. Besides this, our all-inclusive vacation packages are sure to keep you on toes. After all, we enjoy the repute of being the best travel agency in the world, taking special care of our customers for 29 years. So, look no further. 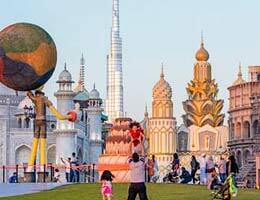 For the dream of your foreign vacation, we have the best range of international tour packages from Delhi, Bangalore, Chennai, Mumbai, Kolkata and other cities of India and the world. Away from home but tightly close vacations with your special one. Memorable overseas vacations with your loved ones. Cruise holidays to sail you across the boundaries of land and luxury. Get ready for hassle-free vacations to foreign lands across the globe. Get your dose of thrilling adventures at locales all over the globe. Indulge in international vacations amid sun, sand and sea. Fun and frolic Internationals exclusively for the young blood.